Well I got a new computer and when I downloaded escribe for some reason for the DNA75 it gave me v1.2. Now I notice there is no Mod tab and I wanted to reset my soft cell cutoff. Is there something I am missing? Nevermind I found it have to go to advanced and then it gives you th Mod tab. This software is not all that bad once you understand a little of how it works. They have cleaned up the app to hide stuff that the average user does not need to mess with, you will need Manufacture to access that setting. EScribe now has 4 display modes accessible through the menu under Options - Interface. Clean: no Mod or Research tabs and no Atomizer Analyzer. Is it just me? 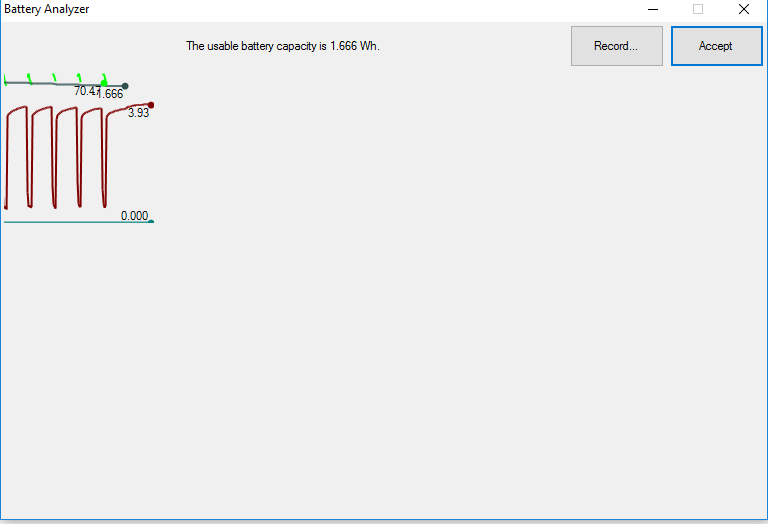 But the Battery Analyzer, in 1.2 SP3, shows much smaller and only in the upper, left corner. Why did I only get 1.666 W/h usable capacity, is another story. it's not just you. that's how it is. as for your dismal 1.666 wh's is this with a 26650? those batteries are less than great. i'll never get a 26650 mod. 26650's cannot handle the current demands for vaping, especially at 70 watts , like what you have the test set to.